It’s day 3 of Passover and the limited carb intake is already taking its toll. I dream of all things leavened—stacks of steaming hot pancakes, fluffy chocolate cake with layers of sugary frosting, warm flakey croissants—and Oh! How could I forget?—a simple yet substantial slice of sourdough bread paired perfectly with a dollop of butter. Back on earth, I’m staring at a flat piece of matzah, the slightly burnt, unsalted cousin of the water cracker. The taste of matzah by itself is as boring as Daredevil doing paperwork…so why am I busy talking about it?? TRADITION…tradition!! During Passover, it’s traditional for practicing Jewish people to refrain from eating anything that rises (a.k.a. anything with yeast in it) for eight full days. In its stead, we eat matzah. Matzah is the main symbol of Passover and is meant to remind people of the story of the Exodus. I won’t bore you with the details—you can read the full story here—but in short, when the Jewish people were fleeing Egypt, they didn’t have enough time to bake their bread. So, in this day and age, we eat matzah (unleavened bread) to commemorate the Israelites’ plight (and flight). Over the years, people have come up with pretty schnazzy ways to eat matzah; matzah pb & j sandwiches, matzah with cream cheese, matzah brei (scrambled eggs and matzah), matzah with chopped liver, matzah on a stick, pineapple matzah, matzah salad, matzah ball soup…well that’s about it. Now before you go investing in some kind of fruit company (or watch Forrest Gump to get this reference), stick your eyes to the screen a little longer to learn about the best way to use matzah. MAKE MATZAH BALLS. and put them in some soup. Matzah ball soup is not only a delicious dish, but also a magical sickness cure. So much so, that your illness will simply…pass over. Yeastless to say, you can make it any day of the year. It can also be made vegetarian (I’ve included this option, just in case!). *Source: For ingredient quantities, I used Tori Avey’s Favorite Chicken Soup Recipe. For the matzah balls, I used Manishewitz Matzo Ball Mix Recipe. Difficulty: Easy; just add water! Chop the carrots, celery, and onion into bite-sized pieces (~ 1/4 inch wide). Add them to a large pot. Pour in the 2 quarts chicken stock (*or vegetable stock*). Bring to a boil. Add a handful of fresh parsley and a few cracks of pepper (to taste). Boil for about 35 minutes. *Note: the longer you boil your stock, the more it will evaporate. To counter this, add a cup of water every 15 minutes. I added 2 cups of water (one at 15 minutes, one at 30 minutes) and that seemed to do the trick. The Matzah Balls ~ Have a Ball! While your stock is boiling, make the matzah balls. Grab a small bowl. Add 2 eggs and 2 tablespoons vegetable oil. Blend!! Then add one packet of matzo ball mix and stir with a fork until evenly mixed. Cover with plastic wrap and chill the matzo ball batter in the fridge for 15 minutes. In the meantime, add 10 cups (2 1/2 quarts) water to a medium-sized pot and bring to a boil. Take the chilled matzo meal mix out of the fridge. Wet your hands and form batter into matzah balls, approximately 1 inch in diameter. Trick: Place the matzah ball in the palm of one of your hands. Place your free hand over the other and lightly press down, while rubbing the matzah ball in a counterclockwise motion. Voila! It should be nice and round. Drop the matzah balls into the boiling water. Cover tightly and simmer for about 20 minutes. (They should be nice and fluffy). Add the Finishing Touches ~ How Soup-erb! Start by straining your soup stock: place a strainer over another pot and pour the soup stock into it. Pick out the parsley. Then, add the vegetables back in. Add the matzah balls to the stock. Simmer your soup for 10-15 minutes. *Note: Make sure your soup isn’t simmering too vigorously; otherwise your matzah balls will fall apart! Dill-iberately garnish. While your soup is simmering, finely chop up some fresh dill. When the soup is ready, sprinkle some fresh dill in each bowl and serve immediately. Okay, fine. These are cooking suggestions. Anyway…I like my matzah balls a bit hard in the center, so I tend to pack them pretty densely and boil them for less time. If you like yours fluffier, lightly roll the matzah batter and boil for 5 minutes longer than stated. DO NOT throw your celery down the drain. The strings of the celery will attack your garbage disposal and mess it up. Don’t doom yourself or your disposal. Either throw the celery away or compost it. 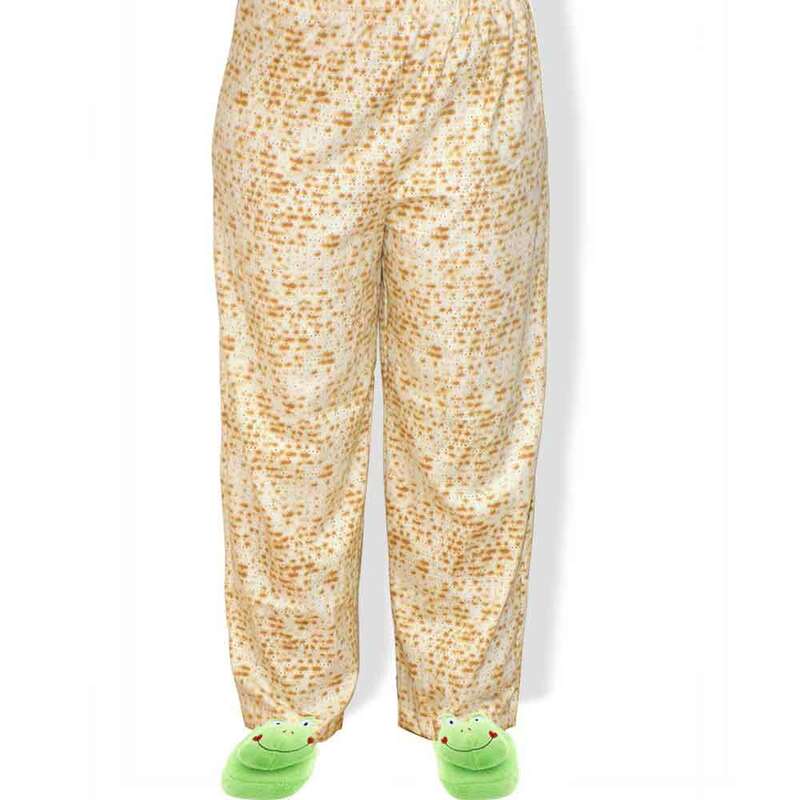 There is such a thing as matzah pants. REALLY. THERE IS. Have a favorite Forrest Gump scene? I do. Click click cliiick. 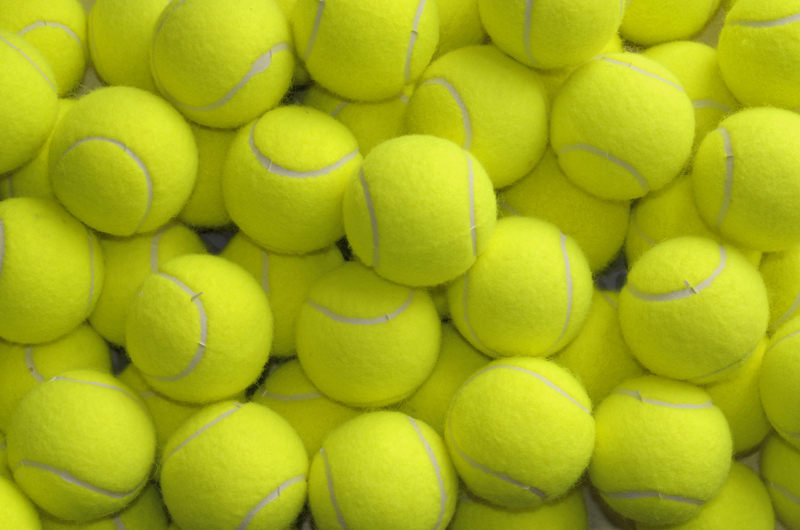 While we’re talking about balls, want to see some fuzzy green ones? VIEW HERE.